Three (3) phase to 240V commercial powerboards. For use in clean indoor environments. 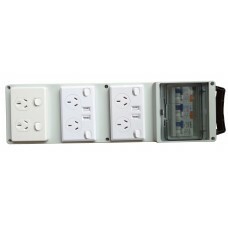 Supplied with Australian Standard 3 phase 5 Pin plugs and 3 pin socket outlets. The power boards come with USB ports as standard.